Confession: I am a little panicked that there are only 3 weeks until Christmas. It’s no secret that this is my absolute favorite time of year and the day after Christmas, I start looking at the countdown app on my phone in anticipation of the Christmas that’s 365 days away but with Thanksgiving being so late this year…we have a lot of holiday’ing to do in a short period of time, people. Let’s get to it. Caroling at Cloud Gate (aka the Bean): Fridays in December at 6pm, a chorus of singers serenades the crowd with holiday favorites and there’s a singalong. Count. Me. In. The Music Box Christmas Show: “It’s A Wonderful Life” and “White Christmas” are 2 of my favorite movies of all time and the Music Box Theater shows them on 9 dates between Dec. 13 and Christmas Eve, complete with a visit from Santa and caroling led by the theater’s organist. Christkindlmarket: This open air German market in Daley Plaza in the Loop that is open every day 11am to 8pm (9pm on weekends) has been a tradition in my family for over a decade. Spiced wine & cider, streusel, potato pancakes, ornaments as far as the eye can see…and a Christmaa Queen. 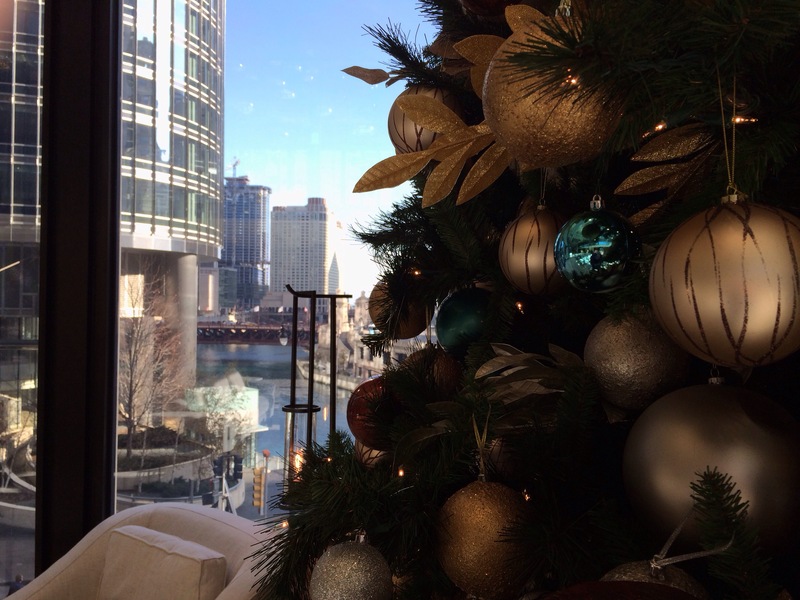 Go on your lunch break for a snack or at night for a beautiful view of the city’s tree. Zoo Lights: This is one of my favorites. The entire Lincoln Park Zoo decked head to toe in lights and musical displays…and Santa is hanging in the Cat House. Go early (it opens at 5pm) or late (closes at 9) to avoid crowds and if you don’t have/like kids, spike your hot cocoa. Trust me on this one. Ice Skating at the Peninsula: I hate being cold but taking a few swoops around the Peninsula’s outdoor rink a few stories above Michigan Avenue and then heading to The Lobby for their Christmas tea sounds like something I could get behind. Now to look at the calendar and come up with a plan of attack! What about you? Any favorite holiday activities that I missed?